Definition of Herbalism: What is Herbalism? Herbalism is a traditional medicinal practice based on the use of herbs, plants and plant extracts. The Native American Shaman relied on his knowledge of herbs and plants as the source of healing remedies. Shamanic Healing is a form of Native American medicine that combines Herbalism with the help and guidance from the spirit world in order to treat the whole person - the mind, body and spirit. 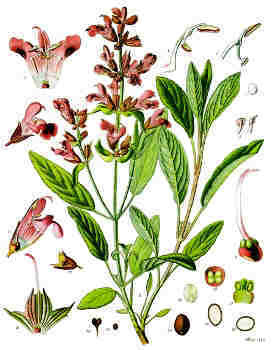 Native American Herbalism encompassed the use of many herbs and plants that were indigenous to North America - Herbal Remedies. The practise of Herbalism allowed the Native Americans to treat, cleanse and purify the body without harmful side effects. The natural Plants and Medicinal Herbs used in Herbalism helped the Shaman to regulate and normalize bodily functions. Herbs are high in vitamins and minerals and their use in Herbalism techniques have the added benefit of raising energy levels, allowing the body to have extra energy to heal itself and to stimulate the immune system. The plants and Plants and Medicinal Herbs used in Herbalism are natural remedies and were the natural medicines of the Native Americans who lived on the natural products in their environment that were produced by nature.